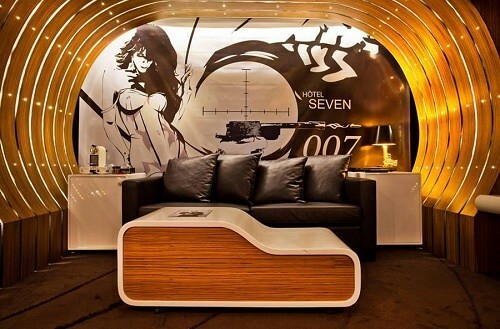 The Hotel Seven in Paris presents all of you the great James Bond Suite. This is the mix of futuristic chic and vintage design. This is only for the secret agents. There are electronic safe, where you can hide some of your gold lamé. So, I think we should say thanks to Daniel Craig, who inhaled the new life of this spy character!